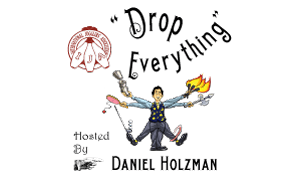 “Drop Everything” Podcast #9 with host Dan Holzman. My conversation with artistic movement juggler, ex IJA board member, and Firewalk leader Kevin Axtell. Topics include The evolution of club juggling, the spinning community and Kevin’s life and career.